An athlete's ability is not measured by the type of apparel he or she wears, yet apparel and uniforms for practice and play are important aspects of school and league athletics, for cost and performance reasons. Are you in search of school team apparel that will fit into your organization's budget next season? Your athletes want to feel confident, comfortable, and united when they take the field or court. They also want to look cool, but the most well-known sports apparel brands often come at a premium. 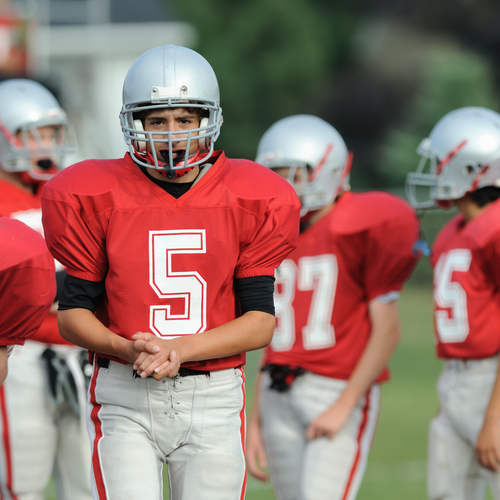 With budgets shrinking across the board for almost every sports organization, it is vital that coaches, athletic directors, equipment mangers, or volunteer parents take the proper measures to ensure that their teams are well equipped without breaking the bank. The good news is that you can satisfy your players', coaches', and fans' desire for the top brands without costing your organization an exorbitant amount of money. By mixing higher-end, more expensive brands, with more cost-effective alternatives that perform and look just as well – if not better – you can achieve this goal. What about Adidas, Nike, Under Armor, and other trusted brands? Provide athletes with name-brand apparel for game day, and reserve equally high-quality cost effective products for practice. Wear your name brands on the field and quality alternative brands of the field. Wear name brands at home and alternative brands on the road. What alternative school team apparel brands can I trust? What will I gain by mixing brands? Your team's image matters and it's important that nothing gets in the way of your players reaching their highest level of performance. Mixing the top-tier athletic apparel brands with lower-cost quality alternatives will ultimately save your school or league money without sacrificing performance, aesthetics, or brand appeal. How else can I reduce the cost of team gear and apparel? There are several ways to save money on school or league team apparel. Mixing and matching team sports brands is just one. Our guide, “Cost Reduction Methods: A Guide for Reducing the Cost of Team Sports Gear, Apparel, and Uniforms,” is for coaches, athletic directors, equipment managers, and parents who are looking to reduce their team's, league's, or athletic program's apparel spending. It offers strategies for saving money by making smart choices on style and brand and discusses an easy way to generate funds by selling branded team gear in an online fan shop.